Think about it. It’s been 2/3 A WHOLE YEAR SINCE THIS GAME CAME OUT. It’s been known about for almost a whole year. For almost a whole year Mario and Rabbids have been together. Yeesh. So anyway I got this game at Clichemas and finished it like a week ago–well, I beat the final boss, anyway. I haven’t 100%ed it yet, and it’s not particularly high on my to-game list, but it’s still on there. So what are my thoughts on this game? Well, to be honest, the Rabbids are the least problematic part of this game. They’re easy to hate, but there are a few moments where they’re good and even cute. Pretend I got the footage of that, I don’t think I ever downloaded it. 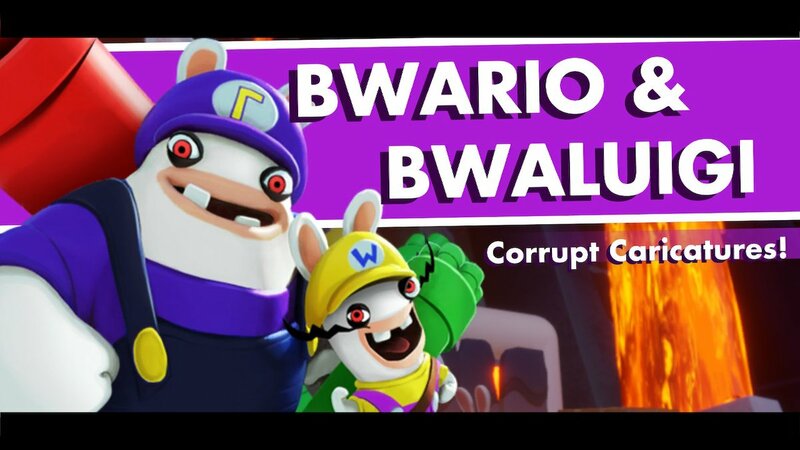 No, the gameplay is worse than the Rabbids. All games of this type have randomness built in, but there were absolutely moments where I only won because luck happened, or the opponent got a lot of luck to win. And let me tell you, replaying fights is the worst. Okay, maybe not the worst, but when you do it over again you want to get going quickly and instead it just slowly pans over the area like the first time you start with no way to skip that. I’m nitpicking, perhaps, but blah blah blah. Speaking of quickly, maybe I’m just impatient but there were many times where I moved the cursor to a spot and clicked on it to make a move, only to realize I didn’t go to the exact spot I wanted it to go to and the wrong thing happened. So that was annoying and the camera movement in the battles is kind of off, it snaps to a square but that usually just means it snaps to the square before the one you want. Also, when’s the DLC to play as these guys, Ubisoft? All that said, it was a fun game and fun to look at, too, and if you like turn-based strategy games and if you like Mario, I’d recommend it. Actually, isn’t that pretty much like how Fire Emblem plays?